Get answers from a lawyer, not Google. Google is not a great attorney. If the legal situation you have questions about is important, you really should speak to an attorney. 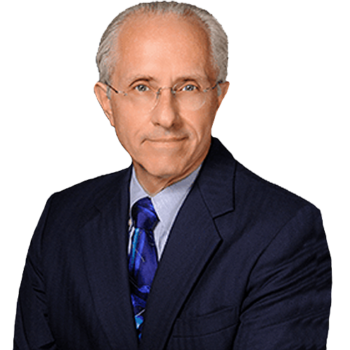 Lee has successfully been practicing law for over 30 years and he can provide answers. Can I handle this myself and, if so, how? What is the likely cost of pursuing this matter? How frequently will Lee be available to respond to issues that arise? How long does it take for cases like mine to be resolved? Take action. Discuss your case for FREE. Let Lee get you what you are entitled to under the law. You want every advantage you can get and experience is a big advantage. This is about you. Lee doesn't have a boss that he needs to impress. He works for you. Legal matters can be stressful. Visiting the office doesn't need to be. Lee is available when you need him. Have a question? Give him a call. Many large firms are simply looking to settle. Lee's priority is whatever is in your best interest. If you really want to learn about someone, ask their peers, colleagues and competitors what they are like. I endorse this lawyer. Not only is Lee a knowledgeable and ethical practitioner, he has gone the extra mile and attended the prestigious Trial Lawyers College, founded by Gerry Spence, where I met him. Beyond his professional knowledge, Lee is a considerate and genuinely caring man! I would recommend him without hesitation to anyone needing a first class personal injury attorney. Lee is an experienced, creative and knowledgeable personal injury attorney. We met at Gerry Spence's Trial Lawyers College in Wyoming where we worked on our pending cases. Lee genuinely cares about his clients and getting them the best possible result. I endorse him. Any client would be fortunate to have him as their attorney. Lee is a throwback to a time when law was practiced by real people, rather than cogs in a machine. His feeling and affection for the people he represents is obvious whenever he discusses their cases. I cannot speak to his abilities as a lawyer -- I will leave that to others. I can say, however, that Lee is an exceptional PERSON. And if you are looking for someone to take your case on as if it was his own, you have found the right man. Lee Patton is an outstanding lawyer, and I strongly endorse him. He has a creative mind, a tireless work ethic, and a style that inspires confidence. As an attorney he is always ready to take on the challenging case, and he always acts as a fearless advocate for his clients. Lee is an excellent attorney that truly listens to his clients in order to achieve their goals and he is just an all around great guy. I highly recommend him. I endorse this lawyer. Lee is one of the most helpful people I know. He is an excellent attorney and a great human being. I endorse Lee without hesitation or reservation.